Lashing out at Bhartiya Janata Party, Congress leader and Punjab Minister Navjot Singh Sidhu questioned its ‘nationalism’ and termed saffron party a ‘private limited company’ run by 'Rahu and Ketu' (PM Narendra Modi and Amit Shah) while Nirav Modi is their Charted Accountant. 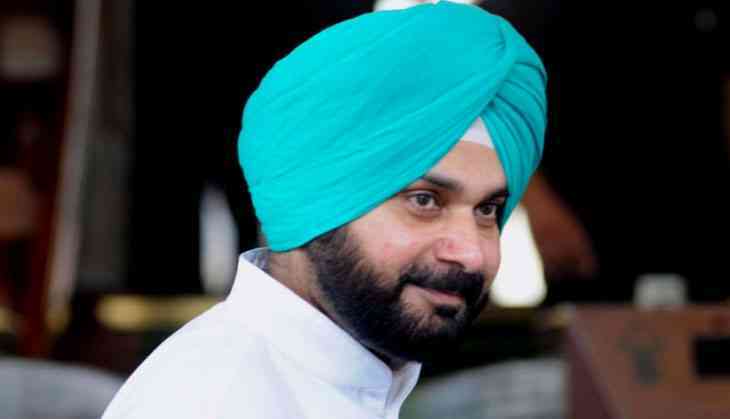 Addressing a rally at Gujarat, Navjot Singh Sidhu said, “I was born in a Congress family, don’t talk to me about nationalism, a person who sidelined such senior leaders like Advani and Joshi ji, he has made BJP a private limited company which is run by only two people and both are Rahu and Ketu, charted accountants like Nirav Modi and others. Sidhu further slammed the ruling saffron party that people are starving and asking people to do yoga, bank accounts are being open but no money. “What kind of nationalism is this where the stomach is empty and you are teaching yoga. No food to eat but toilets are being made,” Navjot Sidhu said. “Arrey Narendra Modi yeh rashtrabhakti hai tumhari ki pet khali hai aur yoga karaya ja raha hai, Baba Ramdev hi bana do sabko. Pet khali hai yoga karaya ja raha hai aur jeb khali hai khaata khulvaya ja raha hai,” Punjab Minister said. On Tuesday case was registed against Navjot Singh Sidhu for polarising votes by making communal comments and violating poll code. Addressing public meeting Sidhu had appealed Muslim voters in Bihar to vote for Congress and dethrone BJP from power. Earlier, Yogi Adityanath, Azam Khan were barred from EC for 72 hours from taking out any poll campaign for 72 hours, while Maneka Gandhi, Mayawati were barred for 48 hours for violation model code of conduct.